If you enjoy alcohol and have an interest in Korean cuisine, you must try soju. This drink is a favorite in Korea and has enjoyed growing popularity in the Western world. Once you learn about soju's contents, history, and how it tastes, you'll feel like a pro when ordering the drink at a Korean bar or restaurant. Simply put, soju is a clear distilled liquor that is made from rice, like many drinks in Korea. However, it can be made from wheat or barley as well. 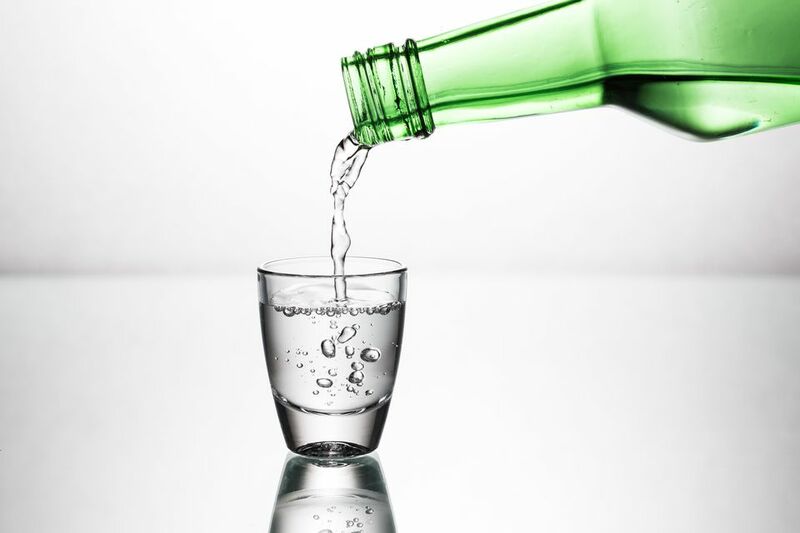 The word soju means "burned liquor," referring to how the alcohol is distilled at a high temperature. It is usually consumed neat, and most bottles of soju will fall in the range of 20% to 40% alcohol (40 to 80 proof). If the alcoholic content isn't too much for you, give the drink a try. If you're unsure if you can handle that much liquor, try it in a shot glass or another small portion. It is also smart to have some food in your stomach to lessen the alcohol's effects on you. Soju has a clean, neutral taste that makes it a good accompaniment to Korean food or Korean snacks. People often say that the taste reminds them of vodka, but most commercial soju sold today has a sweeter and less aggressive flavor than vodka. This is good news for you if you like your liquor sweet or find vodka to be too strong. Soju may just be catching on in the West, but it's hardly a new drink. This alcoholic beverage was first distilled in Korea way back in the 1300s after, historians believe, that the Mongols brought the Persian technique to Korea. It became one of the most popular spirits in Korea over the centuries until the Japanese occupation, when soju production was suppressed and sake and beer became more popular. Following the liberation of Korea from Japan and the Korean War years in the 1950s, soju production was again put into jeopardy—this time by the rice shortage in the 1960s. The government made it illegal to use rice for soju, so instead, distilleries began to use sweet potatoes, wheat, barley, and tapioca as replacements. Soju at present differs from the soju of yesteryear. Even though it is legal to make soju from rice, most soju today is made not just with rice, but in combination with wheat, barley, tapioca, or sweet potato. Many members of the older generation prefer the stronger bottles of soju, but younger folks like the milder taste of the lower alcohol content varieties. What you prefer depends on your unique personal tastes and how much alcohol you can comfortably handle. Flavored soju is also popular—the drink comes in a variety of flavors, such as apple, lemon, and peach. In addition, it is used in mixed drinks and alcoholic punches instead of just being enjoyed on its own.